Are you putting a Chevy roof on a Cadillac house? 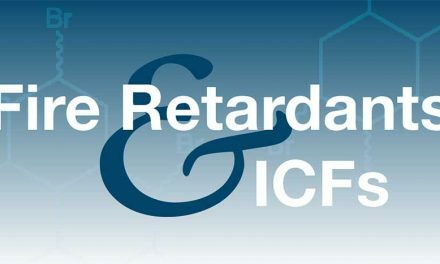 Around the year 2000, people in the ICF industry started to use the name “total shell” for a building with ICF walls and a concrete roof. 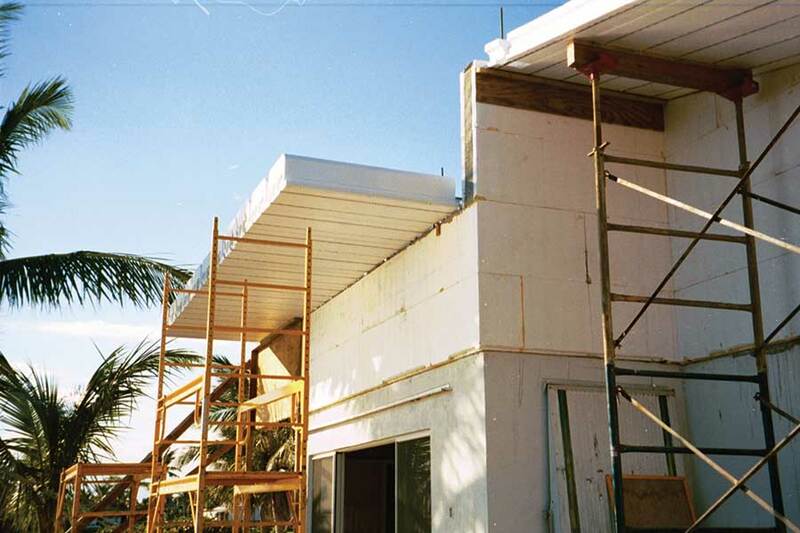 This type of construction offered to extend the benefits of ICF walls. Resistance to natural disasters would be more complete, energy efficiency even greater, sound penetration even lower, and interior comfort better. Hundreds or thousands of total shell buildings have been constructed in North America since. To date the building performance appears to bear out the high hopes. However, the cost and logistics of building a concrete roof are serious considerations. To understand the value of a total concrete shell, imagine building a house with just one wall of concrete. The other three walls and roof are still wood frame. What happens when a severe hurricane blows through? Depending on the wind speeds and the care used to build the frame, there is a good chance that the frame portions of the house are destroyed. The concrete might fall over too because it had nothing supporting it. The interior would be trashed. So the construction of one concrete wall was virtually no help at all. If two walls were constructed with concrete, they have a better chance of remaining standing because each one would support the other. But otherwise, things would be not be much better. Once you get up to four concrete walls, we know from experience that the walls will almost certainly remain standing. The roof may blow off and the interior might be trashed. But on the plus side, rebuilding would be cheaper and easier because the exterior walls would be usable. But if the roof were also concrete, then (1) the structure could withstand all but the most severe disasters, and (2) the interior should be spared significant damage. 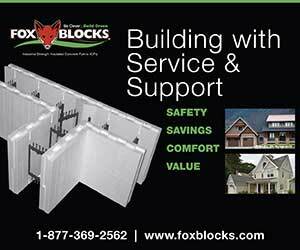 Similar reasoning goes for the other benefits of ICF walls. Adding a concrete roof will sharply improve energy efficiency, sound reduction, and comfort by fixing a major “weak spot” in the building envelope. 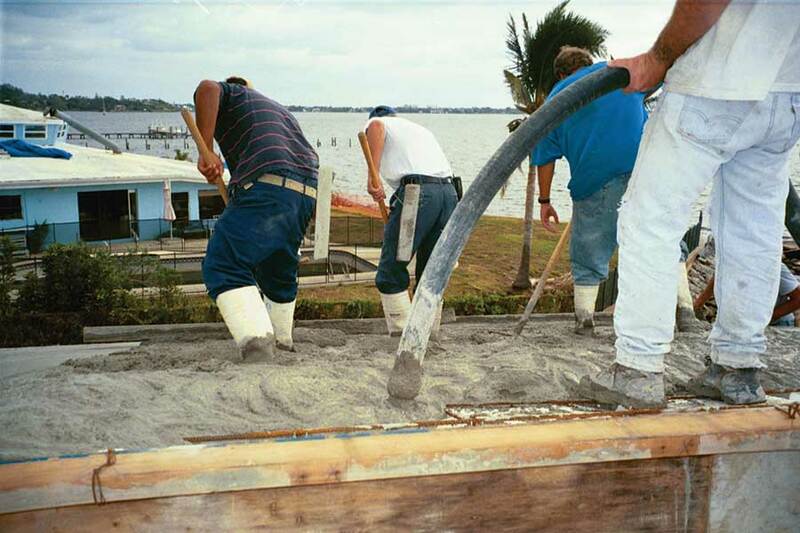 In the wake of Hurricane Andrew (1992), an engineering research team headed by Dr. Ronald Zollo of the University of Miami surveyed the damage. They observed that many of the houses had lost their roofs. This apparently happened through either one of two mechanisms. In some cases, the wind got underneath the eaves and peeled off a sheet of plywood there. Once one sheet was gone, more wind entered through the hole and peeled off a second, and so on. With the sheathing gone it was easy for the wind to blow over the trusses or blow them off altogether. In other cases, the wind blew in through broken windows or the garage door. Air rushed in through these openings, creating pressure inside the house that suddenly popped the whole roof off. The remaining walls were then without the diaphragm that connected them structurally. With the roof gone, the walls of many wood frame homes collapsed under the continued wind. The concrete homes fared much better, but some of them lost some of the weaker parts of their exterior walls. Of course a concrete roof changes this equation. Concrete is heavy. Almost all concrete roofs are connected to the walls through rebar that extend a couple of feet into each member. The roof is also reinforced by more rebar at regular intervals. For these reasons it is difficult to blow all or part of the roof off, even if broken windows or garage doors provide an easy path for air to get inside and pressurize the house. When the “irresistible force” of wind meets the “immovable object” of a reinforced concrete roof, the roof usually wins. 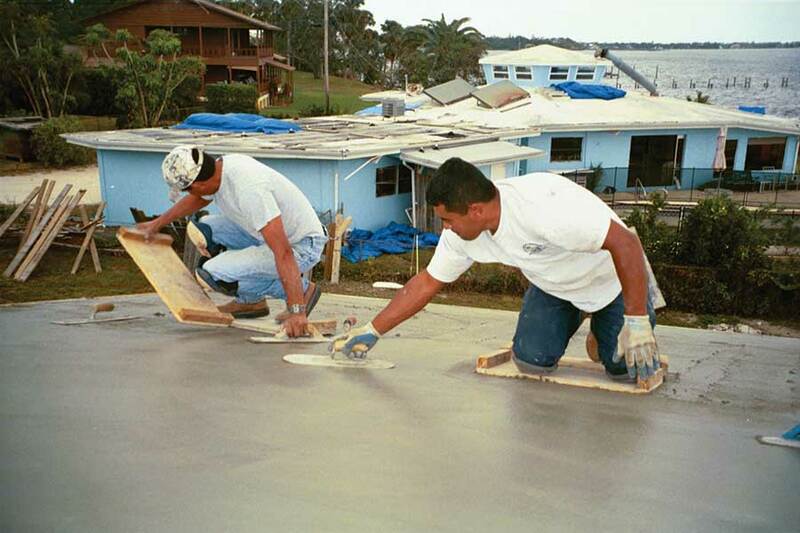 In the most wind-prone areas, a concrete roof can significantly reduce insurance premiums. But it has marketing benefits anywhere disaster strikes. In Florida, says Bev Sturm of Bankers’ Insurance, there is also a discount. The state of Florida mandates that all insurers must reduce the wind portion of the premium by certain amounts for important disaster-resistance measures. 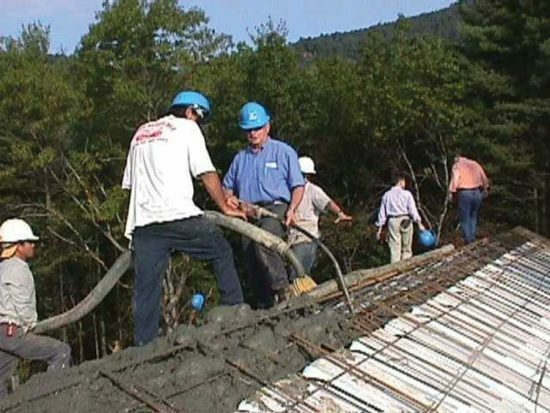 The discount for a concrete roof works out to about 5%. 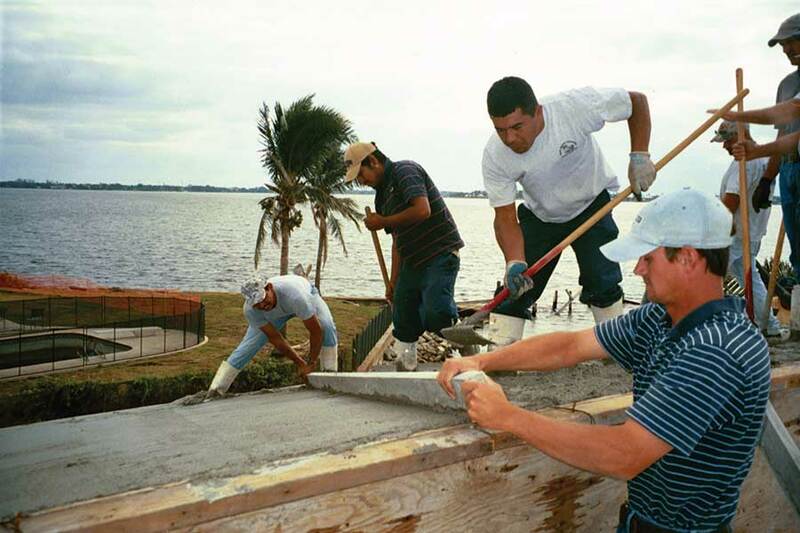 In fact, a check with local offices across the U.S. reveals that almost no one outside of Mississippi and Florida offers a discount for a concrete roof. 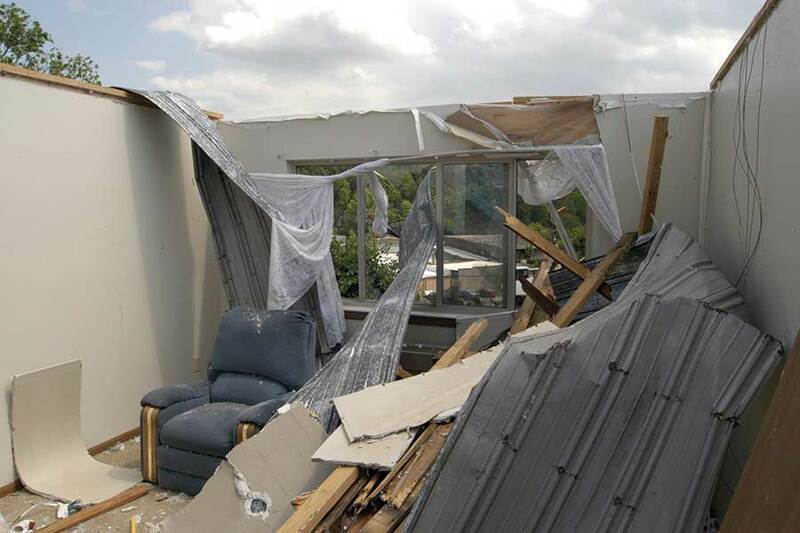 Even insurers in wind-prone North Carolina don’t make a distinction between houses that have concrete roofs and those that don’t, says Pfanmiller. On the other hand, the market appeal of a concrete roof can be high in wind-prone areas regardless of whether there is an insurance discount. 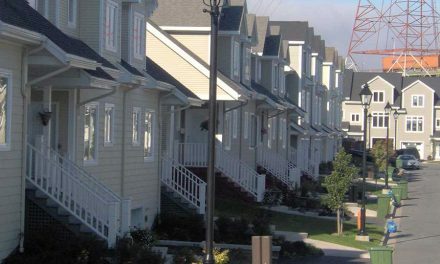 A survey of homebuyers sponsored by the Portland Cement Association in 1998 found disaster resistance to be the second most-cited reason that people choose ICFs for their houses (after energy efficiency). Not surprisingly, those citing disaster resistance tended to be concentrated on the coasts and in Tornado Alley. The other reasons to build a concrete roof are to extend the other benefits of concrete walls: energy efficiency, sound reduction, and comfort. 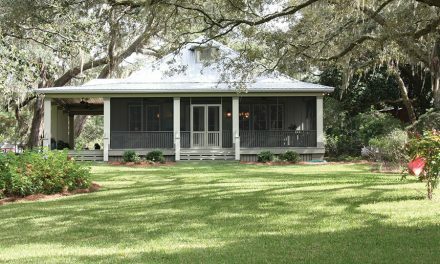 Conventional wood roofs are a weak point for all of these purposes. The energy efficiency of ICFs derives primarily from their high insulation levels, air tightness, and thermal mass. 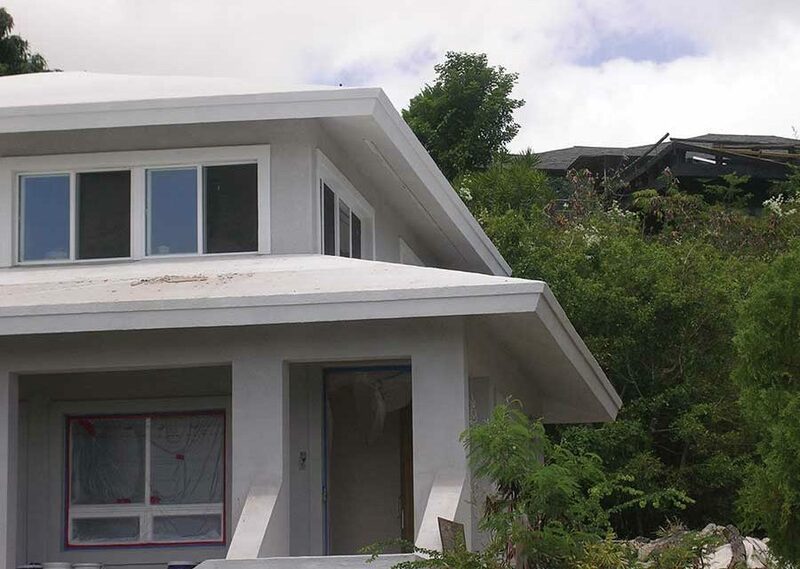 An ICF concrete roof provides the same properties for the top of the building. In all these ways they exceed a conventional wood frame roof. Other types of concrete roofs must be well insulated to provide the same energy efficiency, but with that insulation in place they will perform in much the same way as the ICF roof. Sound travels through wood frame much more easily than concrete because of the lower mass of the material. Sound through the roof is one of the major reasons ICF houses are not even quieter than they are. The concrete roof stops up that weakness. Interior comfort is determined by the same factors that improve energy efficiency, so a concrete roof completes the “comfort shell” just as it completes the thermal shell. The one major part of the building envelope not yet accounted for is the windows. If a total shell building has cheap windows it will fall short of its potential just as an ICF house with a frame roof falls short. Double-pane, low-E, argon-filled windows help greatly in energy efficiency, sound reduction, and comfort. And these are usually included in quality construction anyway. But for high wind resistance, more is needed. Conventional windows are susceptible to breaking from flying debris or severe air pressure. Once the windows are broken, more debris and high wind can go inside and do damage. The solution is either shutters or impact-resistant windows. Either of these stops most projectiles without allowing a complete break and a path into the house. A key question is whether the concrete roof needs to be sharply pitched. It is difficult to cast concrete on a slope, and nearly impossible to cast it when that slope is greater than 4-in-12. Not surprisingly, costs tend to rise rapidly with the slope. Many of the roofs constructed to date are therefore conventional gable or hip roofs with a pitch of about 3-in-12. An alternative is to construct a less expensive “flat” roof. Most of these are actually very gently sloped from one end of the building to the other, creating what is technically a shallow shed roof. However, such a roof requires that snow loads and water sealing be carefully considered. Inside a house that lost its roof in a windstorm. Another alternative is to construct what builders are calling a “lid”. This is a truly flat deck to create a ceiling over the top floor. A conventional truss roof goes over this lid for water runoff and appearances. The truss roof may tear off in high winds. But the lid still protects the interior below the attic. 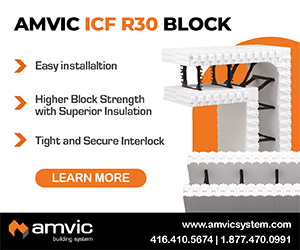 The popular new way to build a concrete roof or lid is with an ICF deck system. These systems consist of long foam forms, called “sections,” that are reinforced with light-gauge steel “joists”. Crews set them on the walls and brace them from below every 5-6 feet. Reinforcing steel, wire mesh, and concrete go on top to create a structural concrete deck with an under layer of foam. The steel joists inside the foam provide a place to attach sheetrock and fixtures. Clear spans of 38 feet have been achieved, according to George Hofer of Insul-Deck Corp. The final assembly, as with an ICF wall, is already insulated because the foam stays in place. Placing concrete for a pitched roof on ICF deck forms. 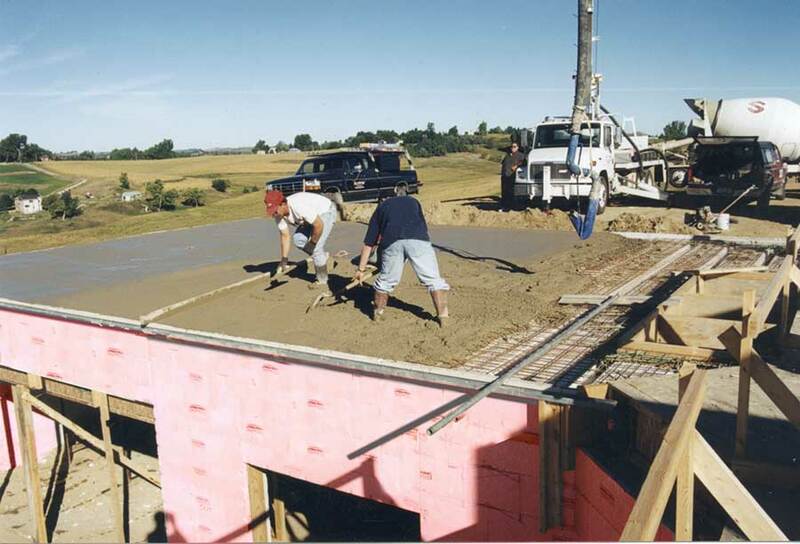 The ICF deck system is the most practical way to build a conventional-style pitched concrete roof. It is relatively easy to cut foam and light-gauge steel to create the angles needed for eaves and ridges. If it is acceptable to build a shed roof or a lid, there are many other options. Perhaps the most popular is the composite steel bar joist system. With this system, the crew sets a series of special steel bar joists on top of the walls, slightly over four feet on center. Crossbars connect the joists. Workers lay standard sheets of plywood between the joists, resting on the crossbars. Mesh goes on top, and then the crew casts concrete 3-4 inches deep. The concrete locks onto the top of the joists. The crossbars and plywood are removed from below, leaving an elevated concrete slab with a deep joist about every four feet below. According to Jerry Rhodes of Hambro Structural Systems, clear spans of over 40 feet are possible with a deep enough joist. As there is no insulation in the system, it must be added if needed. The ICF walls of the Robbins’ home outside Attica, Kansas, withstood a direct hit from violent tornado. The concrete walls saved their lives. Unfortunately, the wood-frame roof was lifted away in the storm, and many of their belongings were ruined. The biggest negative in deciding on a concrete roof is always cost. Contractors quote installed prices on concrete roofs that are 2-4 times the cost of a conventional wood truss roof. The lowest cost is for a flat roof or lid built by an experienced crew using one of the uninsulated systems. 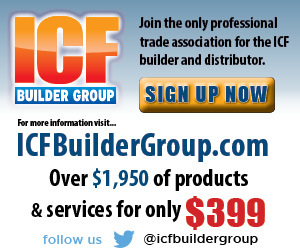 The cost of ICF deck systems is usually closer to the high end because of the cost of the form material. But they do not require added insulation. Pitched roofs are at the top of the cost scale, and can go even higher for complex shapes. According to product managers at major window manufacturers, impact-resistant windows typically cost over 15% more than conventional windows. 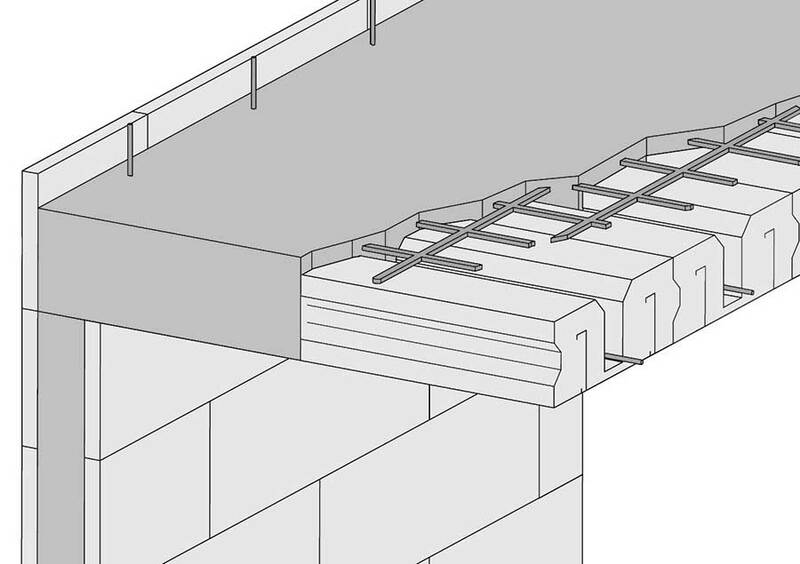 Cutaway view of a flat roof formed with an ICF deck system. It is hard to argue with the benefits of a total concrete shell. The superior envelope provides disaster resistance, energy efficiency, sound reduction, and comfort far more complete than with other materials. The availability and experience of crews to do the work is also increasing as the practice becomes more common. Still, reports of contractors suggest that currently concrete roofs and lids go on no more than about 5% of all ICF homes, and a somewhat higher percentage of the small commercial buildings. The value is there. 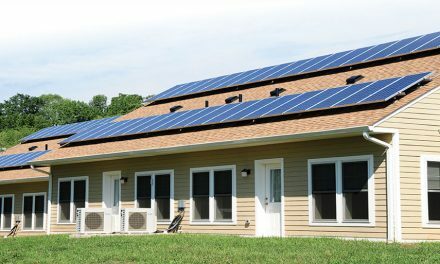 Future use will depend on how cost-effective the market can make the products and installation. Pieter VanderWerf is President of Building Works, Inc., a consulting company that helps companies with new construction products. He can be reached at pvander@buildingworks.com, and his company at www.buildingworks.com.